The Chicken Inn has been in the English Market since 1955. They started cooking in the 1960s and at that stage a small rotisserie was sufficient to meet a fairly steady Saturday demand, a demand that grew during the summer when the holiday season kicked in and people regularly picked up a cooked chicken for the picnics. They are still in the English Market of course and now have another base. 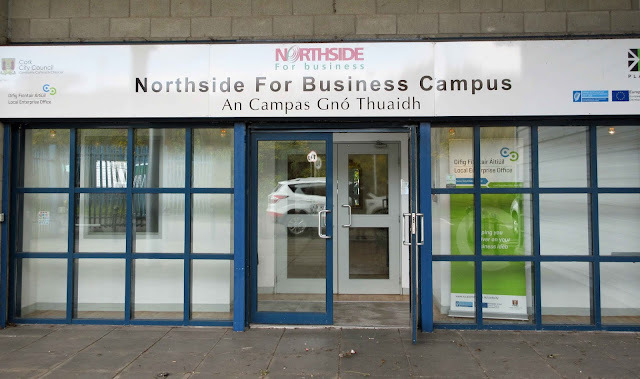 Just last week, Tim Mulcahy, grandson of the founder John Lane, proudly showed me around their new facility at the Northside for Business Campus in Ballyvolane (just behind the fire station). As demand for cooked chicken grew, the Chicken Inn bought in a special oven from the UK that allowed them cook slow and on the bone. And that oven has been transferred to Ballyvolane. Tim told me “the antique is going as well as ever”. Right alongside it is a new oven and each is capable of doing 375 chicken crowns at a go, all cooked on the bone by the way, “just 100% per cent meat, nothing added”. “Now we can do big orders with more confidence,” says Tim. “But we are not trying to get as much in and out as possible or as quickly as possible. It is still low and slow. We still are at the artisan stage, it is all about the flavour and that takes time and care.” The chicken is succulent. Check it out for yourself before you buy by sampling from the display plate at the market stall. (No retail at Ballyvolane, by the way!). Both ovens cook with steam but in a different way. Water is fed into the new one from the top and directed onto the elements and then the steam is created. The “Antique”, now twenty five years old, uses a water bath to create the steam. Tim gives huge credit to Denis, the man who oversees the cooking here. “He has been cooking with us for 49 years, has it down to a ’t’. He’s always had the touch and it is second nature to him at this stage”. Denis has seen huge changes during the decades and indeed is now in charge of the paperwork here as well. And there’s a huge amount of it. Every single batch is tagged on arrival, each box of chicken has a label from the supplier and that label follows that batch all the way through - even gets cooked - to dispatch. And that means that each single chicken’s history (through reception, cooking, chilling) in the facility can be traced if need be. And that means reassurance for customers, both big and small. “Our customers know what they are getting, they can rely on us. No one else is doing what we are doing. 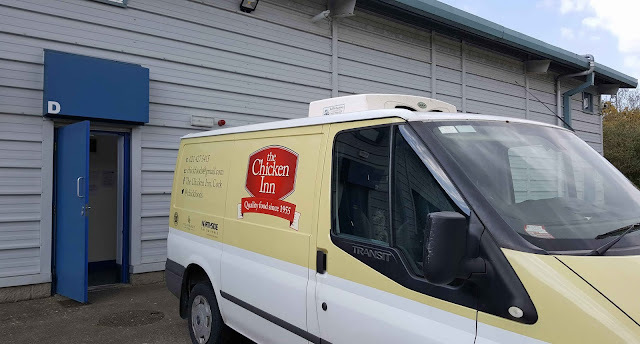 A big customer didn’t want any more plastic so we use greaseproof paper as a simple solution to packaging.” And because of the increased capacity and the increased ability to trace and track, the Chicken Inn has recently been able to secure two large local contracts. In the cooked/production area, the air is changed no less than twenty times per minute. You can’t move from one room to another willy nilly. If an opposing door is open, you won’t get access until that’s closed. It’s a bit like queueing to see the Last Supper in Milan. Cleaning is a constant. They also use a “fogging machine”. This reaches the spots that other methods can’t access, and it especially useful for fans and motors. And the regulations on hygiene - I had to get togged out with coat, hat and shoe covers - follow the chicken all the way through from inward delivery, through the different areas, to the blast chill (cold in there!) to their chill dispatch area. and Ali (right) at the Blas prize-giving. Oh, the Chicken Inn continue to do their own spiced beef and turkey, that spice beef by the way is sold all year round. Tim told me a good yarn: “Only last week, a lady called and ordered, cooked turkey sliced, spiced beef and ham, for a confirmation lunch. And she told me she was going to tell her visitors, some from Dublin, that she’d prepared it all herself!”. Tim mightn’t be getting the credit but he took it as a great compliment! And do watch out for their new product, which has been a while in development. Their Chicken Bone Broth, made here in a large stock pot in Ballyvolane, is now widely available in Supervalu and also from the market stall. Tim had a lot of hoops to jump through as he set up the new facility, lots of help too though. “It is getting increasingly difficult, for small producers, to put a place like this together.” He showed me a “blucher drain”. 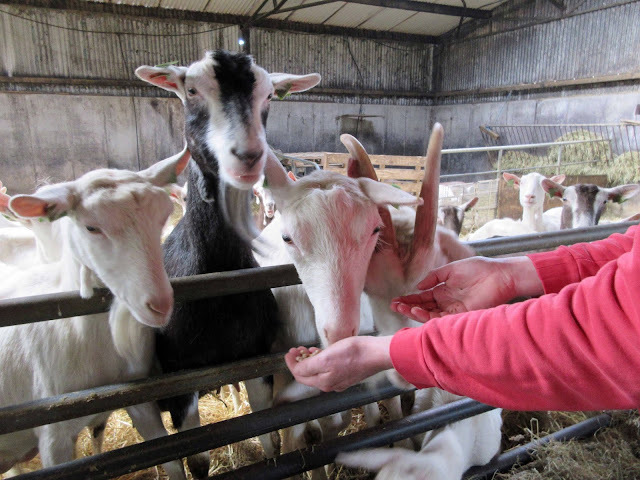 He was quoted close to a thousand euro each and he needed 12! Luckily though, with help, he sourced them for a fraction of the original quote. The Chicken Inn has four people employed here, nineteen in total, 23 reasons to be proud. Tim has great praise for the Northside for Business Campus, well placed for distribution on the North Ring Road. It is part of the Northside Economic Development Forum’s ‘Growing more than Apples’ initiative. By working together the stakeholders aim to develop practical initiatives, with tangible outcomes, that support the regeneration of the 3 RAPID areas on the Northside. 1955 - John Lane started the stall in the English Market. 1960s - started selling cooked chicken. 2019 - new facility in Ballyvolane.